You are here: Home » Presenting Humane PA’s 2012 State Endorsements! Presenting Humane PA’s 2012 State Endorsements! We are pleased to present Humane PA’s endorsements of candidates for Pennsylvania state offices in the upcoming November general election. Please note, as a registered state political action committee, we only issue endorsements of candidates for state offices and make no endorsements for federal offices. 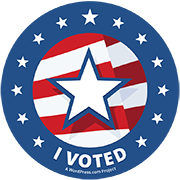 For information on federal races check with HSLF. The endorsement process is deliberative and lengthy, and Humane PA gives careful consideration and thought to each race for which an endorsement is issued. 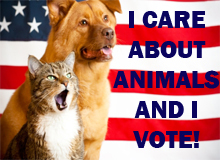 We are fortunate this election in that many races are between strong, humane oriented candidates, many with proven records of working hard to protect animals and to oppose cruelty. An example of one such race is that for Pennsylvania Auditor General, between our friends, Representatives John Maher and Eugene DePasquale, both of whom are consistent and strong voices in the State House on behalf of animals. While this demonstrates that humane issues warrant increasing importance legislatively and on the political scene, it makes our job in choosing whom to endorse that much more difficult. In evaluating who to endorse, we consider many factors. First, if a candidate is an incumbent, we have the benefit of reviewing their legislative record. In addition to how a candidate voted on humane/anti-cruelty related legislation, we examine and weigh whether or not the incumbent has been a leader, i.e., a prime sponsor, co-sponsor or one who worked with animal advocates to move legislation. Prime sponsors are viewed most favorably, as they have demonstrated leadership on the issues so important to all of us. Next, we carefully review each and every response to Humane PA’s candidate questionnaire, and perform many follow up telephone interviews. We are thrilled to report that a record number of candidates not only responded to all of the survey questions, but also took the time to explain why animal issues are important to them and to tell us about their own companion animals. We will be sharing many of those heartwarming stories in the weeks leading up to election day. Our goal is for the Commonwealth of Pennsylvania to be a kinder place for animals and for our legislature to pass appropriate laws to protect animals and eliminate cruelty. Thus, we encourage those who care deeply about these issues to consider and be guided by our endorsements, and to support candidates who will support a humane agenda. We thank all of the candidates who took the time to complete our survey. Good luck to all of our Humane PA Endorsed Candidates!